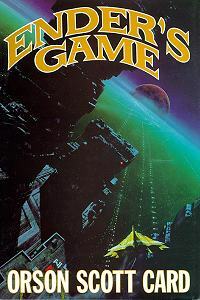 ‘Ender’s Game’ was originally a short story published in the August 1977 issue of ‘Analog Science Fiction and Fact’. The novel version came about later in 1985. In 1991 Card made several revisions to the original novel. The introduction was changed. The original version referenced the Warsaw Pact, and the newer version references the New Warsaw Pact. On January 28, 1986 the Space Shuttle Challenger exploded. The original version made mention of the perfect safety record for space flights. This was also changed. Card intends to write another revised edition in the future with changed details from Chapter 15. Twenty-two years after the story of Ender Wiggin first appeared in print, Orson Scott Card learned that the name “Ender” really exists – in Turkish. The name means “one in a million” or “something that is rarely found” – an extraordinarily appropriate name for Ender Wiggin. Card affirms, however, that he had no notion that the name actually existed in any language – he coined it only to allow the title “Ender’s Game” to be reminiscent of “endgame” in chess. The correspondent who informed Card of the meaning of the name is himself named Ender. “Many people are named Önder in Turkey,” he writes, “so Ender is a rare name even in Turkey.” via Hatrack.